Three framed advertisements for Canon cameras. 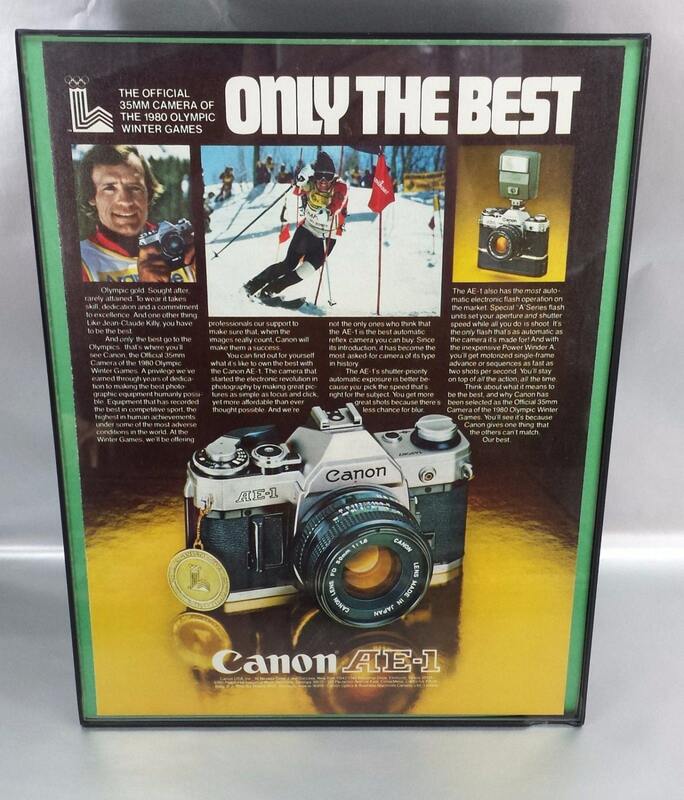 Canon was the Official Camera of the 1980 Winter Olympics held in Lake Placid, New York. 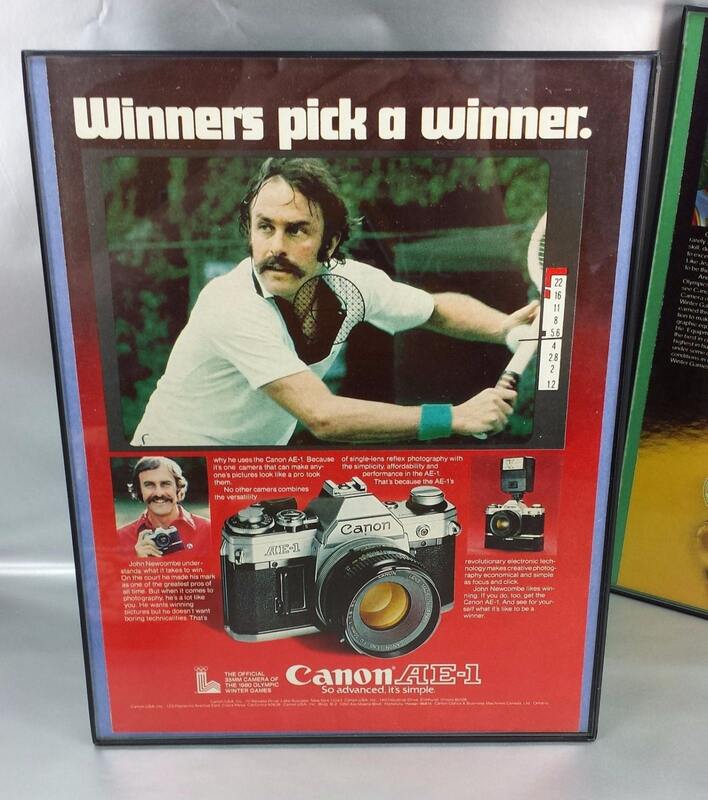 These ads cover the most popular SLRs of the late 1970s and into the early 1980s. 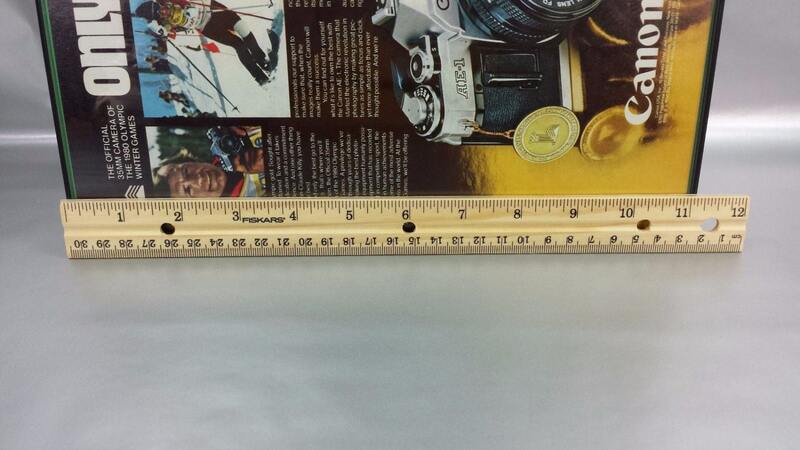 In excellent condition overall... please check out the detailed images of the framed ads you will get. 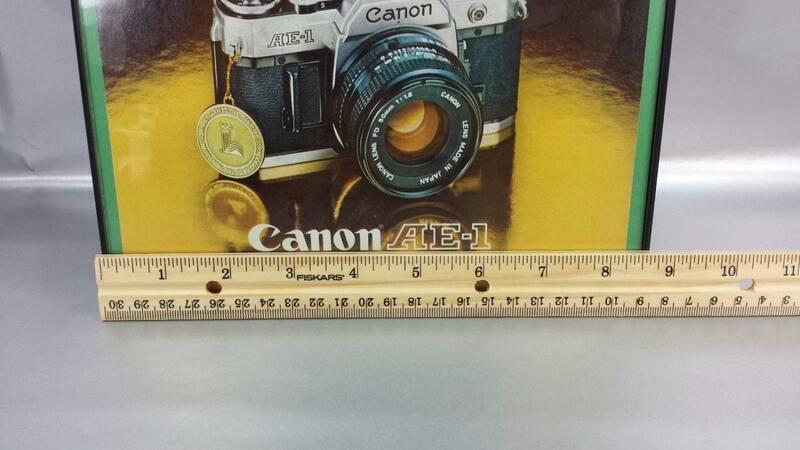 There is a small chip missing from the third frame pictured on the lower right side. Stored properly... Smoke Free Home too!